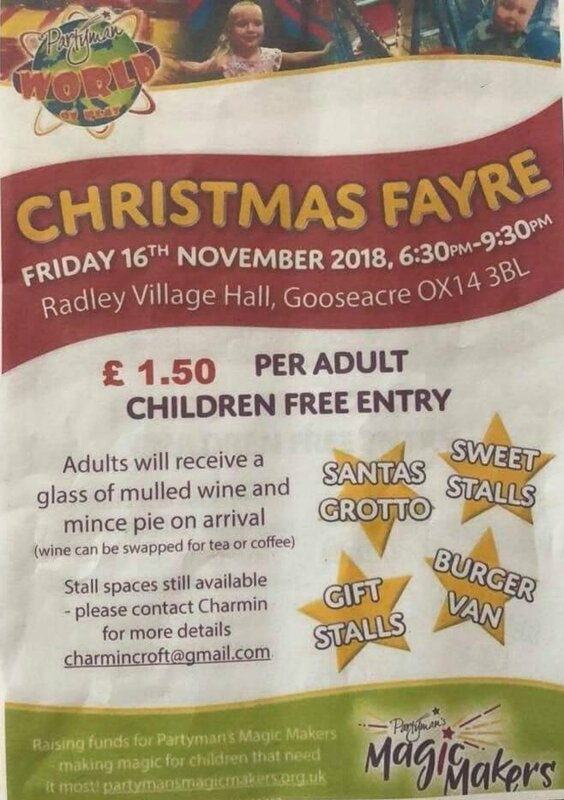 Tonight at Radley Village Hall we have a fabulous Christmas Fayre, starting at 6.30pm and raising money for 3 fantastic charities. Santa on his sleigh will be coming through the village at 6pm before heading down to the Village Hall to his Grotto and Elves for our Christmas Shopping night. There will be many stalls, a snow globe and refreshments available – adults will receive a glass of mulled wine and mince pie on arrival. Admission is £1.50 per adult, children free. Please support this village event for good causes.